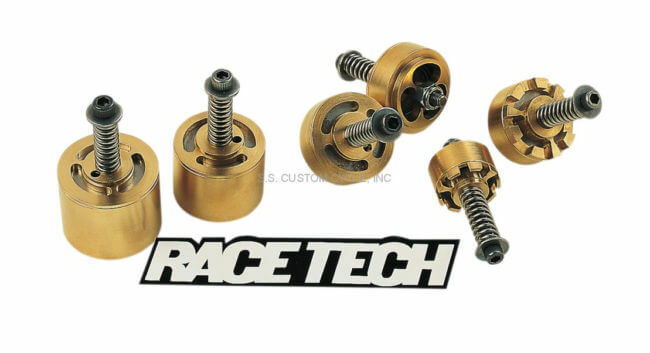 Race Tech Gold Valve Emulators for Yamaha Forks provide a personalized setup and adjustability. Gold Valve Emulators improve fork oil flow, dramatically reducing harshness while actually increasing bottoming resistance. Damping rod forks are notorious for being both too harsh yet too easy to bottom. This is the nature of damping rod fixed orifice forks. In the past all that could be done to improve these forks was change spring rate, oil viscosity or damping hole size, until now. Cartridge Emulators make damping rod style forks perform like well-tuned cartridge forks. These tunable valves sit on top of the damping rods and are held in place by the main springs. 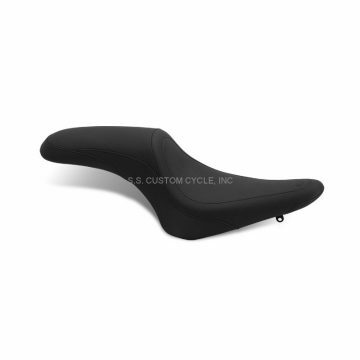 This makes them both simple to install and completely tunable for all conditions and rider preferences.